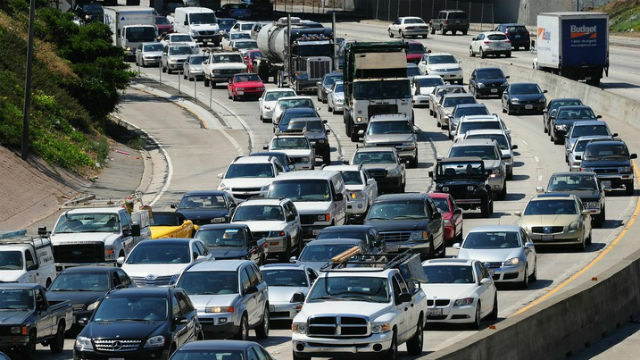 Some 3.65 million Southern California residents are expected to travel over the Thanksgiving holiday this year, a 3.1 percent increase over 2015, when 3.54 million took Thanksgiving trips, the Automobile Club of Southern California said Thursday. The projected number travelers this year is the highest since 2007, when the number stood at 3.99 million, the AAA said in a statement. About 86 percent of this year’s travelers, or 3.14 million, will drive to their destinations — a 3.4 percent increase over last year’s 3.04 million car travelers, it said. Air travel for Southern Californians is expected to increase by 1.6 percent over last year to 389,000, while travel by other means — such as bus, ship or train — is expected to increase by 1.1 percent to 121,000. Statewide, nearly 5.9 million residents are expected to travel over Thanksgiving weekend this year, an increase of 3.1 percent over last year’s 5.7 million travelers, the AAA said. Slightly more than 5 million Californians are expected to drive to their destinations — a 3.4 percent increase over 2015 — while 617,000 will fly, a 1.6 percent jump. About 196,000 residents statewide will travel by other means. Nationwide, 48.7 million travelers are expected this Thanksgiving weekend — a 1.9 percent year-over-year increase and the highest number of U.S. Thanksgiving travelers since 2007, according to the AAA. The Auto Club attributed this year’s increase in the projected number of travelers to more disposable income, higher wages and increased consumer confidence. And while current gas price averages are similar to those at the same time a year ago, they have been significantly lower in 2016 than in any year since the 2008-09 recession. “As with the Memorial Day and Independence Day holidays in 2016, we are seeing that travel has almost returned to the heights of popularity it achieved in the middle of the last decade,” said Auto Club spokesman Jeffrey Spring. According to a survey of the Auto Club’s travel agents, the top five destinations for Southern California Thanksgiving travelers this year are Las Vegas, San Diego, the Grand Canyon, San Francisco, and Santa Barbara. Las Vegas is also the No.1 destination for the nation, and San Diego is No. 3.